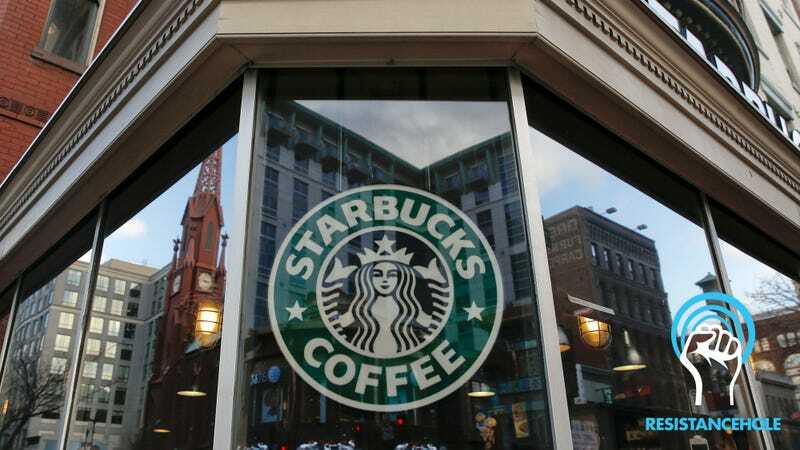 Now that the whole story about two innocent black men being arrested in one of its stores is a distant memory, Starbucks has made the baffling decision to waste a huge amount of everyone’s time and attention today by closing down for anti-bias training even though the #Resistance has moved on and we’re mad about other things now. What a pointless move by Starbucks to address a now-boring issue we already got all mad about last month instead of protesting an outrage that we actually care about. It would have been an awesome gesture if Starbucks were closing down today so it could address something we’re mad about right now, like the racist Twitter rant Roseanne Barr went on this morning, but instead the Seattle-based coffee franchise is holding a now-useless racial-discrimination training because of an outrage that we barely even remember and stopped tweeting about weeks ago and that basically has nothing to do with the stuff we’re currently furious about, like President Trump. Listen, Starbucks, if you really wanted to help out the #Resistance, you’d be holding a seminar about something like Trump’s boneheaded Memorial Day tweet, or the Russia investigation. So please, stop wasting everyone’s time rehashing that racism thing that practically happened last decade and start talking about the things we’re mad about right now.